Holly Shores is always looking for individual volunteer and Non Profit Organizations to perform in a skit during our Haunted Hayrides. You can win up to $1000 for your Non-Profit Organization! 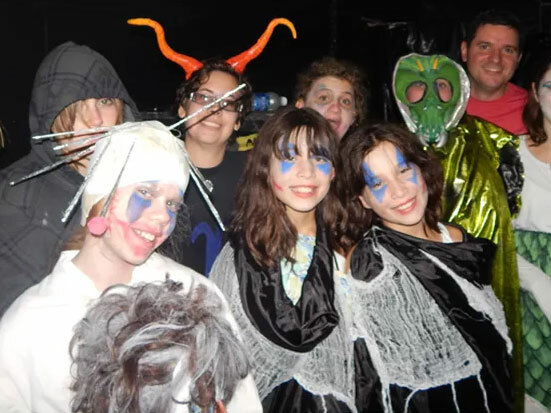 We provide the site, you grab your best props and costumes and put your thinking caps on to come up with a bone chilling skit to perform for our campers during our haunted hayride. 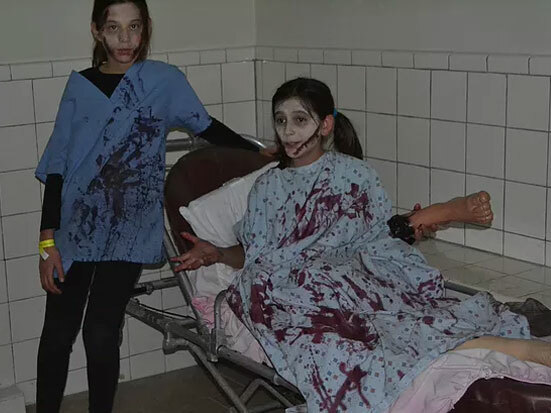 Our famous Halloween Weekends benefits the Cape Regional Medical Center Cancer Unit. Skit dates for 2018 are October 5th and October 12th from 5:00PM to 10:00PM. You could win up to $1000 for your cause! Perform your skit on Saturday from 6:00PM-10:00PM during our Haunted Hayride and Walk. (Skit judging, photos and videography is from 5:00PM to 6:00PM.) If your skit is chosen as "Best at Holly Shores" that weekend, you win $500 for your volunteer organization. If you win both weekends, you win $1000 for your organization. Perfect for high school clubs, volunteer fire companies, EMT's, scout troops, PTAs, YMCA, etc. Have fun and help out your community at the same time! You can volunteer for the Holly Shores Camping Resort's famous Haunted Hayride and Walk and scare campers all night long. Get your face painted, pick out your favorite costume and put on your meanest, scariest face! Holly Shores also provides your dinner, snacks and hot chocolate for the evening. Earn up to 5 hours of community service by scaring the night away!